A farm can be defined as an area of land and its buildings used for growing crops and rearing animals, typically under the control of one owner or manager. 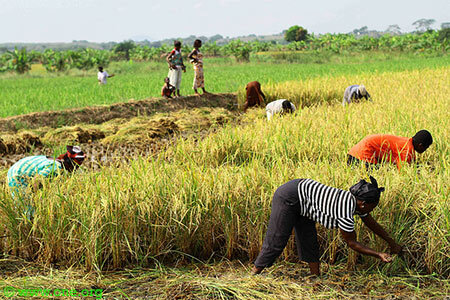 Uganda has fertile soils and favorable climate for growing of crops, rearing of animals and keeping of poultry. 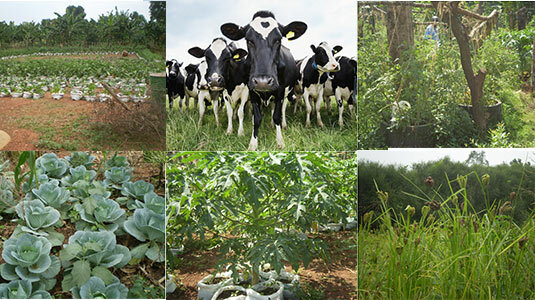 Incidentally majority of Ugandans live in their small farms in the rural areas and grow crops and keep a few goats and cows mainly for their domesticuse.They rarely do farming with the aim of maximizing the income from the farm. 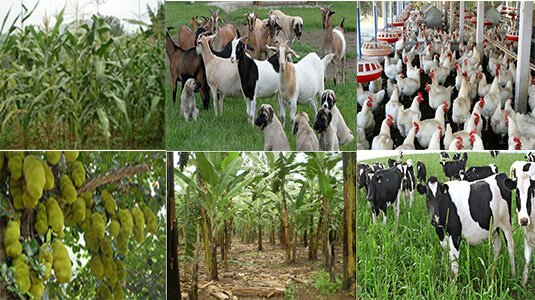 Our small farm has a number of crops including bananas, mangos, papaws, avocado, jack fruit and animals including chicken, goats, dogs and cows. The air around the home is very fresher and there is no noise apart from that made by the cows and dogs. There is a nearby road with fewer cars and motorbikes but does not really disturb our peace. There is also a nearby primary school of the children from the area. While living on a farm, ihave been able to enjoy a healthy living because the food eaten is fresh and full of all the nutrients that the human body needs to be healthy. Food crops are got fresh from the garden on a daily basis and taken fresh. I enjoy the experience of getting pawpaws and jackfruits, sugarcane and passion fruits fresh from the garden ready to eat. Cooking facilities include both gas and firewood. Food cooked on firewood tends to taste better. It at times spoils ones hands when cooking with charcoal but it is a wonderful experience to go through. I used to find it difficult to light a charcoal stove until I learnt to use the old news papers with polythene bags. With living on a farm, iam able to enjoy peaceful and quiet nature walk while admiring what nature provides. The trees and crops on the farm which provide wonderful shades where my family and i can sit and relax.Thegreatest advantage of living on the farm is that one enjoys the fresh environment provided by nature. 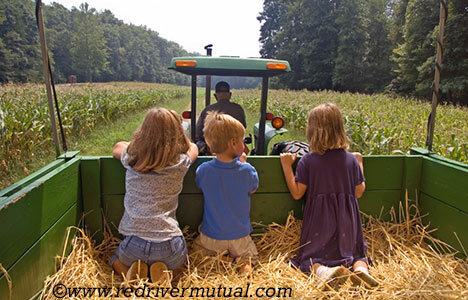 Children that grow up on farms are able to attain first hand and practical education and experience as compared to those that grow up in a city. From experience, these children are able to receive first hand information and also learn about the seasons for crops, the gestation period of animals especially cows and also how to deal with challenges like soil erosion, weeds and many other challenges that occur in a farm. This helps them with their education at school because they can easily relate to such situations. As the saying “You Reap what you sow,” so is the life on the farm because from childhood I was taught about the importance of hard work. My dad says if you do not work, you do not have to eat. There is work everywhere. 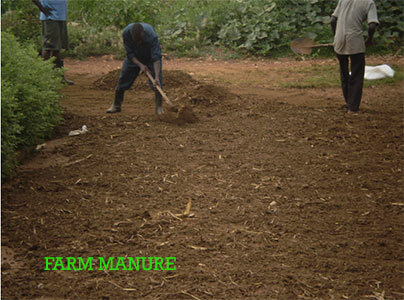 The routine work on the farm includes harvesting and drying of crops, cleaning of cow shades, cleaning the compound, getting grass for cows and milking the cows among others. It is extremely rare for one to be idle. It so happens there is planting and weeding of crops all year around in order to maintain the constant flow of food on the farm. I have interacted with all people with different backgrounds who come to work on the farm. It is on the farm that I came to learn about some people eating small birds like doves and weaver birds. In actual sense my young brothers and sisters acquired catapult to help in killing birds for the farm workers. 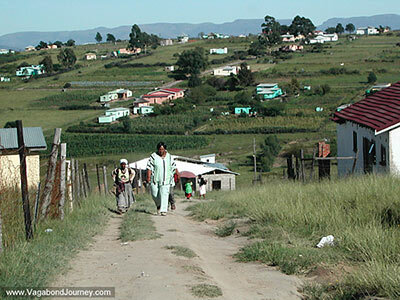 It is fun to join the workers for meals as their food is prepared in a traditional rural setting and way. I have learnt to live with people from different background which I really appreciate. We are surrounded by neighbors who are quite good and friendly. 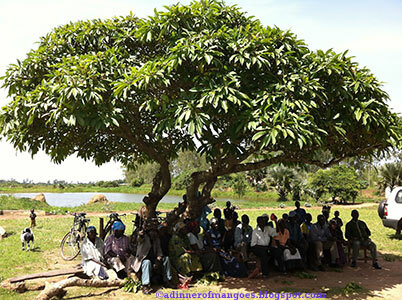 Crops like mangoes, jackfruits and avocado are shared with neighbors. We are more of a community of people living together in harmony and we help each other when need arises. This is advantageous because neighbors protect our property reducing the risk. This also creates a friendly environment because of the hospitable attitude our neighbors have towards others. Getting people to work on farms is quick and cheap because one does not require a certain level of education to qualify for the job. Duringharvest and planting periods, we get additional labor from the prison department. 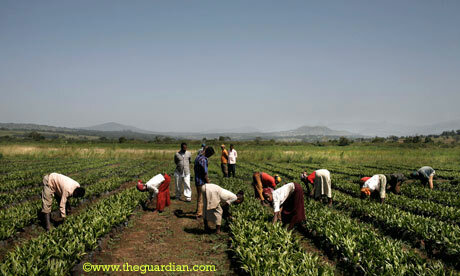 This enables the prisoners to mix with the community and to learn modern methods of farming. I grew up knowing that breaking the law means going to prison! Honestly, I cannot regret growing up on the farm as I have so many things I would not have learnt if I was not on the farm. The farm makes you work as food is only obtained through working on the farm. It is primarily because of this that I am now prepared to walk my journey of life well equipped with skills I have acquired at the farm.